I am living my dream, almost – but it has taken me a long time and a long road to get here and it doesn’t exactly look like I envisioned it. I have always loved the beach. My passion and love of the ocean has grown and evolved wrapped with my love of traveling and writing. It has taken me most of my life to be at peace with who I am and to live my life through my loves, interests and passion. When I discovered cruising, I was hooked. Traveling-Cruising is my Passion. Waves of Joy and Excitement through Exploring New Places, Meeting New People. Discovering more of myself through Discovering the World. Writing is the connection of all that I am. It encompasses all I love, feel and experience. In reading my work, you will come to know who I am intimately and deeply. I hold nothing back. I expose myself to you completely. Connecting with You through my travels and experiences-Sharing with you insights, knowledge, ideas and tips for Your Own travels of Discovery. Inspiring you to take to the seas and Travel the World being Authentically Yourself. And I would Love to assist you in Planning and Arranging that Grand Journey whether it be for learning about other cultures, transforming yourself and/or the world or just for Fun. My writing is as diverse and comprehensive as my interests, passions, experiences and my life. My personal essays are deep with emotion culminating in insight and the wisdom I have gained. 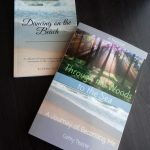 I write about issues such as dissociation, depression, midlife, major life changes, grief, dying, and death with deep understanding from my own experiences. My life experiences with dissociation and issues relating to identity and sense of self have guided me to create programs for self-discovery and letting go of your past, rediscovering your authentic self and creating a life in alignment with your true self. 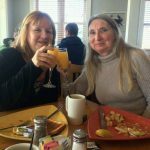 My Blog series Sister’s Travel Adventures chronicles my sister and I as we cruise and travel to places we have been before and to new places in the world that we have only dreamed about. It follows us through our memories of childhood, our relationship with our father, and through our relationship with our mother, our experience of dealing with our mother’s Alzheimer’s and death. This experience is what has sent us leaping out into our reawakened passions of cruising and traveling. It awakened our dream of cruising around the world expanding the dream bigger to explore any interest or place that excites us and are passionate about. And will become a book someday. I hope my writing and stories inspire you to listen to your heart, your intuition, be present in each moment, live in touch with your authentic self guiding you through each day, expressing who you are, making your own unique imprint in the world, and to step out of your comfort zone exposing you to new dynamic environments embracing change and breaking new ground. I hope I inspire you to follow your interests, passions and dreams traveling to places that will inspire and enrich who you are and live a life of adventure, fun and joy! . I am passionate about helping others navigate their journey into becoming their authentic self, and expressing and living their life following their loves, desires and passions. All my writing and work is all tied together in my belief that travel enhances our sense of self allowing us to be our most authentic best version of our self. My homeport is on Topsail Island, North Carolina. I wake up and see the ocean out my window every morning. Our island is full of tourists all spring, summer and fall. In the winter the island is much quieter. From here I take off for my travels with my sister. Sometimes she visits me here on the island. 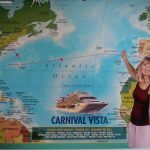 Cathy Teoste is an Author, Blogger,Cruise Advisor/Ambassador, Beach Lover and Traveler. Writing is the connection of all that she is. It encompasses all she feels, loves, and experiences. In reading her work, you will come to know who she is intimately. She holds nothing back. Cathy’s writing is as diverse and comprehensive as her interests, passions, experiences and education. Cathy’s homeport is on Topsail Island where she enjoys the beach, evenings out with friends enjoying music and wine. When she’s not in homeport she is off on a new adventure traveling and cruising with her sister or visiting with her daughters. Cathy holds a B.A in Holistic Studies and an M.A. in Holistic Health and Wellness from Lesley University. She received additional Clinical Training in Mind/Body Medicine, and Spirituality and Healing through Harvard Medical School. She is an ordained inter-faith minister and a Reiki Practitioner. This combination of education and personal experience informs her writing with practical knowledge and understanding combined with insight and wisdom.